Your opinion matters. 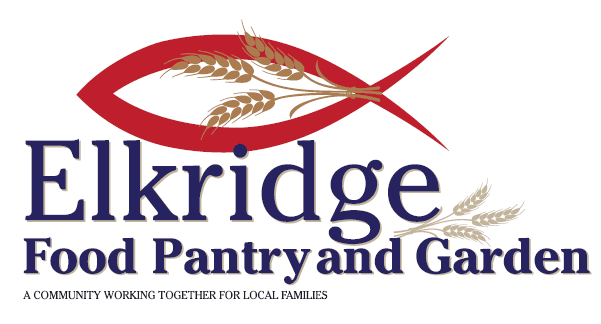 Leave A Review Or Edit This Listing for Elkridge Food Pantry. Located at the Good Samaritan Outreach Center in Elkridge. On the nights we are open (second and fourth Friday of the month, from 4-8pm) we rely on a team of volunteers to keep things running smoothly. Volunteers can expect to help with signing people in, stocking shelves, bagging groceries, and generally assisting our customers with their selections. Most of our volunteers are high school students, but we welcome everyone who is interested (although we do ask that you are 13+ years old). If you would like to be put on the volunteer mailing list, please email katydid17@verizon.net, and we will email you the week before we are open to see who is available and to schedule volunteers. We also have a number of people involved in behind the scenes work, preparing us to be open each week. These jobs involve a variety of things, from unpacking and stocking donated food and cleaning, to going to stores to pick up donations. We need more volunteers with weekday availability to help us pick up donations from a variety of places, including Green Valley, MOM's organic market in Jessup, the Herr's warehouse near the Elkridge library, and Kathryn's Kloset- an organization that supplies toiletries. Some of these jobs require a truck to transport the boxes. If you are looking for a volunteer job that will take up only a few hours each month, and are available during the weekdays, please feel free to email katydid17@verizon.net for more information. If you are part of a group such as a church, scout troop, or company that is interested in holding a food drive, please contact us with any questions you have. This is a great way to get involved in the community! We also have a hot meal available for our customers to enjoy whenever we can. Groups have brought in everything from simple sandwiches to complete spaghetti dinners, and are welcome to either stay and serve or just drop off the meal at the beginning of the night. If you are involved with a group that might be interested in preparing a meal one night, please email katydid17@verizon.net for more information and to set up a date. We rely entirely on the support of the community! All of the staff are 100% volunteer, and every donation we receive goes back into the community to help our neighbors in need. Small donations can either be dropped off in the donations bin located at Green Valley near the exit, or brought directly to the pantry on the Friday evenings we are open. Every little bit helps! We always need more information on our pantries. If you know of any details, volunteer information, website, hours or more description information about Elkridge Food Pantry please add a comment (below the map on this page), with information. We will then display this for all visitors on this page.